We have a slew of princess dresses and pink-clad baby dolls in my toddler's toy chest, but her interest fell on the opposite end of the toy spectrum last week. We have a little Handy Minnie on our hands. Matt is building a computer, and CeCe has decided she will be his assistant for this project. 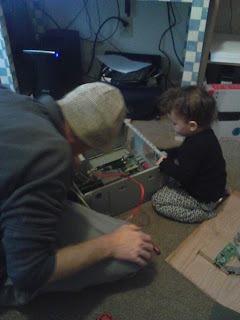 She grabbed a tiny screwdriver and started "helping" the day he stripped the PC down. She was so drawn to the tools, placing screws in various holes and twisting the screwdriver in her hands. I grabbed a Toys R Us gift card and headed out to find our girl her own tool set. 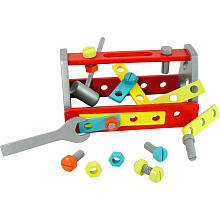 This brightly colored set has a little hammer, wrench, nails, nuts and bolts. It is simple, no bells or whistles, but CeCe spends hours playing with it. For $14.99 it is a steal. 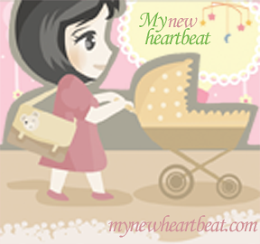 This is definitely one of Mommy's Favorite Things, and now we have the most adorable handygirl at our disposal.